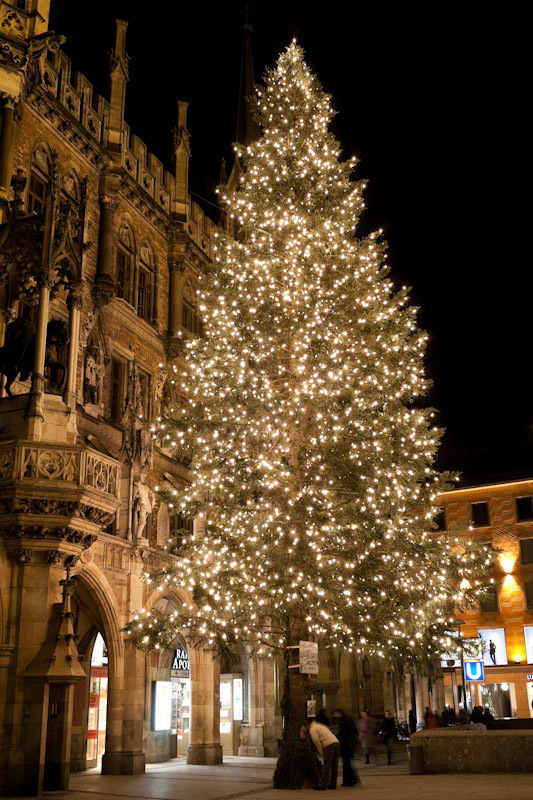 The large Christmas tree in front of the Glockenspiel. Merry Christmas to our family and friends around the world. We hope that the day is filled with great company and delicious food. For our friends down under, enjoy the beach and warm weather and for our friends to the north stay warm, huddle around the fire and enjoy each other’s company. 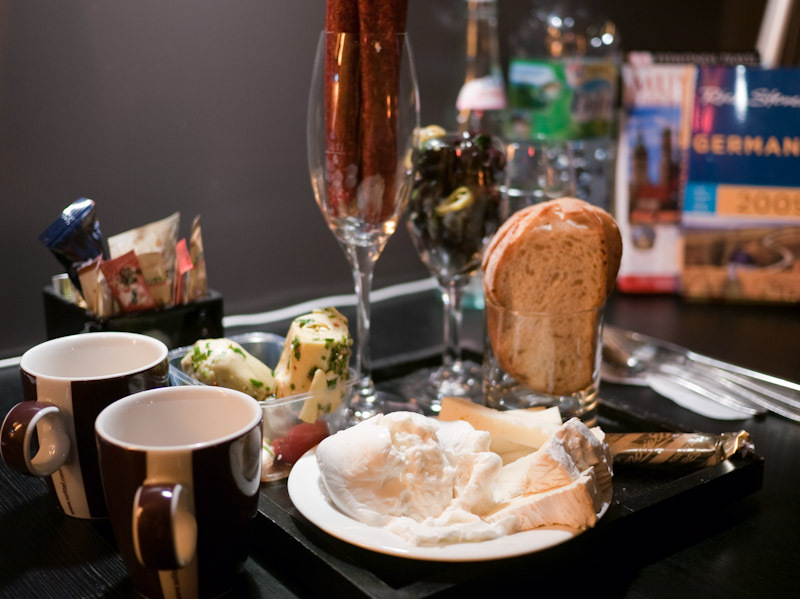 Our non-traditional Christmas breakfast of lanjager, bread, buffalo mozzarella, artichoke hearts and marinated olives. Today is the 5 year Tsunami anniversary. Can you believe it? Hi guys. I can’t believe it’s been five years since the tsunami. Laura and I were just talking about how scary that whole experience was. Your photographs are fantastic, your journey back to your roots must leave you speechless at times, the food looks good (but check in with a physician when you get back) 🙂 and your Christmas must be Merry with all the Gluhwein. Last night I watched “Mega Tsunami – 5 years later” on Discovery and I’m so grateful that you two were safe. Merry Christmas, we love you both tons. We will warm up our bottle of Gluhwein tonight and share a toast with and for you.